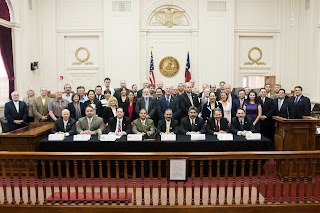 BROWNSVILLE, TX- JANUARY 21, 2010- The wheels of change kept their momentum today as The University of Texas at Brownsville and Texas Southmost College and six other entities launched United Brownsville with a signing ceremony at City Hall. Starting where Imagine Brownsville left off, the newly formed United Brownsville will have an organizational structure designed to provide a sustainable mechanism for cooperation to leverage institutional resources for the implementation and tracking of the initiatives in the Imagine Brownsville plan. "We must again come together," said UTB/TSC President and a United Brownsville Board Co-chair Dr. Juliet V. Garcia. "Any one of us alone can achieve small things, but it takes a community to come together to achieve bigger things." UTB/TSC was asked to collaborate as a full partner with the community around the implementing the key investments and strategies identified in Imagine Brownsville as a member of the United Brownsville Plan Coordinating Board. The board represents a new approach to create a more sustainable, competitive regional community. The University joins with city of Brownsville, the Port of Brownsville Independent School District, the Greater Brownsville Incentives Corporation, the Brownsville Public Utilities Board and the Brownsville Community Improvement Corporation on the board. "What's more exciting is we are taking the next step in moving forward with the notion of a plan to a movement of making things happen," said UTB/TSC Vice President for Economic Development and Community Services and a board Co-Chair board member, Irv Downing. "All this is beyond just one institution and only when we leverage our resources can Brownsville really meet the challenges." The Imagine Brownsville Comprehensive Plan provided the foundation for guiding the future growth of the Brownsville Borderplex that is consistent with the vision and goals of the community. The development of the plan involved the participation of hundreds of residents and institutions throughout the process. "When we agreed to lead Imagine Brownsville, it was never meant to be a plan that would sit on the shelf when it was completed," said President and CEO of International Bank of Commerce and board Co-Chair Fred Rusteberg. "Plans demand action, and that's what United Brownsville is about. We are excited to begin the implementation phase of the plan. This is a truly an historic occasion." The plan outlines the key private and public sector strategies needed to create a more sustainable competitive community in order to attract the capital and resources needed to improve the economic development and quality of life of the Brownsville area. the Toastmasters organization. Social time and refreshments start at 11:30 a.m.
and the one hour program begins at 12 Noon. has the opportunity to develop public speaking and leadership skills. This Friday - January 29 - help us make a difference and save this country from an administration that seeks to cripple our economy by pushing through Socialized Healthcare via corrupt back-room deals. Join AFP-Texas and many others across the state as we protest the Healthcare Bill by hopping in our cars, circling targeted district offices and "Honk Against the Healthcare Takeover!" We are also encouraging that everyone to shoe-polish their vehicles with "Honk No" or "Honk No Against Healthcare Takeover" even if they can't attend. "Honk Against Healthcare Takeover Rally"
Time: 12:00pm - 12:30 p.m.
AUSTIN (January 20, 2010) – The Texas Hospital Association's state political action committee, HOSPAC, has endorsed Veronica Gonzales (D-McAllen) for Texas House District 41. One of the largest hospital associations in the country, THA represents more than 85 percent of the state's hospitals and health care systems, which employ some 355,000 health care professionals statewide. "Texas hospitals face numerous challenges in delivering care to our diverse, fast-growing population," said Dan Stultz, M.D., FACP, FACHE, president/chief executive officer of the Texas Hospital Association. 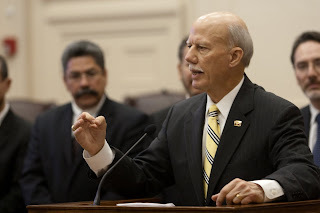 He noted that Texas continues to have the highest rate of uninsured in the nation, and if federal reform is enacted, Texas will face many infrastructure and budget challenges with its implementation. Some 70 percent of Texas are at or below 400 percent of poverty, and potentially will be eligible for Medicaid or government subsidies. "Hospitals are major employers in the state, and workforce needs will grow as demand for services increases among those newly covered," said Stultz. "Sound health care policies will be more important than ever, and Rep. Gonzales has indicated a willingness to work with hospitals to address Texas' health care issues." The 33-member HOSPAC board makes endorsements based on a candidate's position on health care issues and input from local hospital representatives. Learn more about HOSPAC at www.HOSPAC.org. Founded in 1930, the Texas Hospital Association is the leadership organization and principal advocate for the state's hospitals and health care systems. Based in Austin, THA enhances its members' abilities to improve accessibility, quality and cost-effectiveness of health care for all Texans. Learn more at www.tha.org or follow THA on Twitter at http://twitter.com/texashospitals. It's that time again! 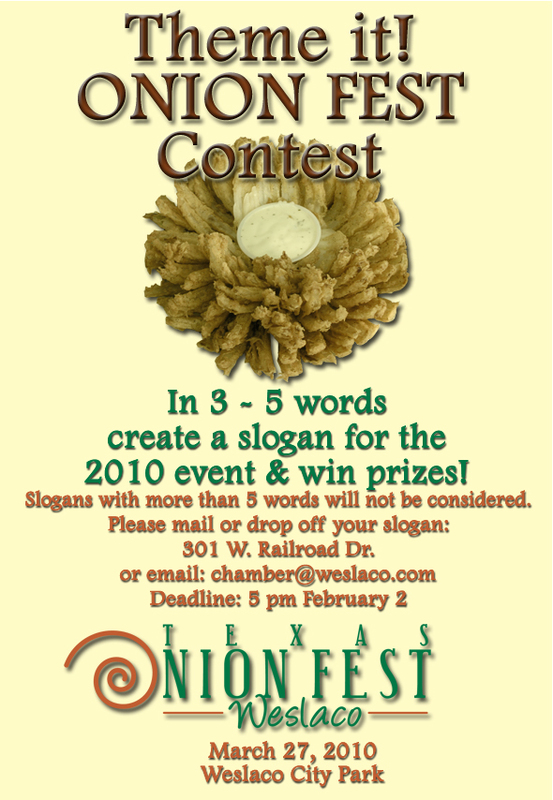 Time for Onion Fest and we need your help! January is almost over! The Onion Fest is around the corner. Between now and then - there is so much going on - we want you informed! 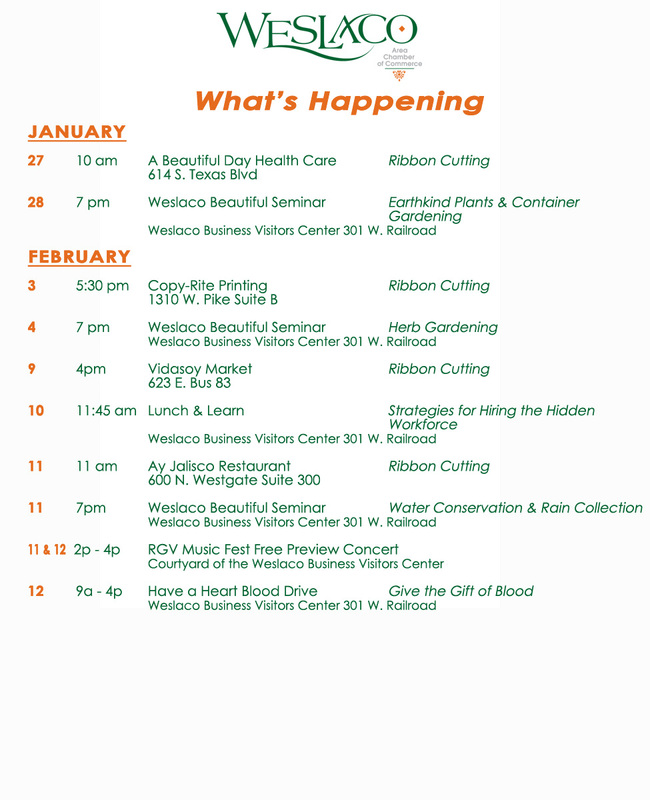 Take a look at the calendar of events below - you won't want to miss any of the action! · During the month of January, renovations to the Treasures of the Gulf Museum Gift Shop will begin, making it more efficient for the Museums to operate both gift shop and admission desk. The admissions desk will be moved to the center of the entrance and more space will be added to the gift shop. · A new exhibit will open displaying what was referred to as a bathroom on early nautical ships. They were jokingly referred to as Los Jardines or The Gardens. They were known for the unexpected baths provided when the deck was washed by waves. They were also referred to as the head because they were placed at the head of the ship so that the waves could naturally clean the area of the toilet for that 'salty fresh smell.' The term head stuck and spread to not just toilets on ships but toilets in general. The term is still used today by men all around the world. Note: In 1708, Woodes Rogers, an English privateer and Governor of the Bahamas, was the first person to refer to a ships toilet as the head in his book, but the term head can be traced well beyond the 15th century. · January 28th, The Museums of Port Isabel will be hosting "Telling Our Stories" program with guest speaker Valerie Bates, Port Isabel Marketing Director and Texas Tropical Trails board member. She will give a presentation on the Causeway Collapse. There will be a display of 14 of her photographs of the tragedy in the art gallery at the Treasures of the Gulf Museum. "Telling Our Stories" begins at 7pm and will be held at the Treasures of the Gulf Museum. Free admission and refreshments will be served. For more information, contact Gabriel Godines, Curator of Education and Programs at (956) 943-7602. · February 12th, The Museums will be hosting its 13th Annual "Essence of the Laguna Madre" fundraiser titled "! Viva La Revolution!" at 7pm in the Treasures of the Gulf Museum. There will be traditional Mexican performances from the UTB Mariachi Band and the Los Fresnos Folklorico dancers; great food and drinks; a Mexican Revolution exhibit on display in the Champion Building; and an exhibition of Mexican Revolution paintings from the Consulate of Mexico in the Treasures of the Gulf art gallery. The evening will also include a Silent Auction, and an opening of a Mexican Revolution era safe that dates back to the 1920's. Tickets are $50.00 per person and are on sale now. 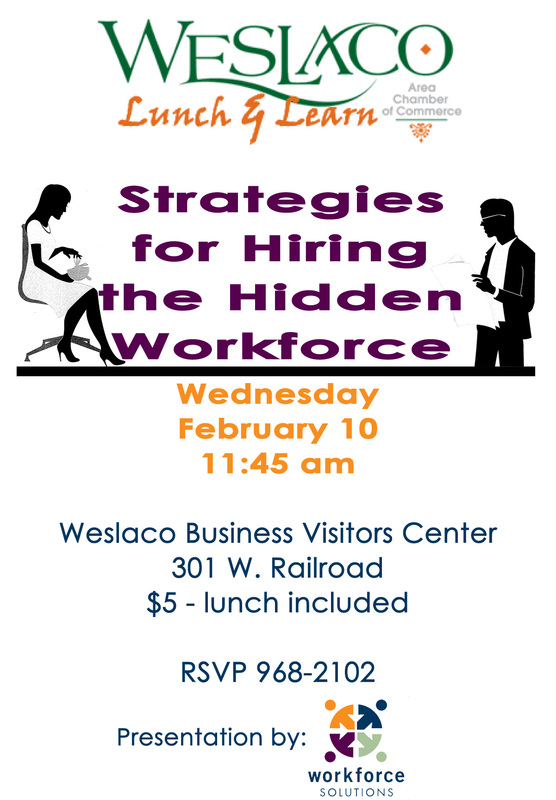 For more information contact Jeannie Aby at (956)943-7602. · February 25th, The Museums of Port Isabel will be hosting "Telling Our Stories" program with guest speaker Rod Bates, owner of Antiques@Tarnava and board member of the Port Isabel Historical Preservation Board and the South Padre Island Historic Preservation Board. Mr. Bates will be giving a presentation on the Mexican Revolution. "Telling Our Stories" will be held in the Champion Building at 7pm. For more information, contact Gabriel Godines, Curator of Education and Programs at (956) 943-7602.